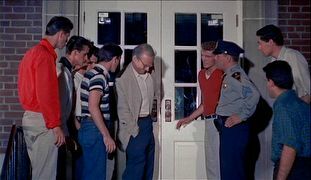 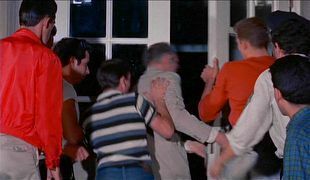 The high school principal leads the teenagers to the school in order to get CO2 fire extinguishers (which can be used to freeze the monster); however, the principal doesn't have his keys. 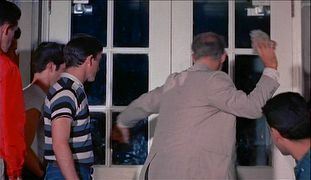 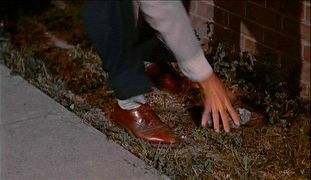 So he picks up a rock and breaks a window. 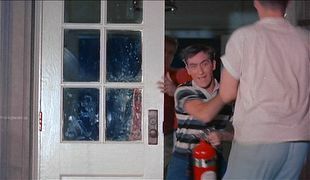 The teenagers rush inside and grab the fire extinguishers.